Looking for a place to host your workshop, class, event, or offering? Inquire about availability for our studio space. We have 2 studios at our location to choose from depending on the size of your space need. Host a team building event, a yoga training or any other music, dance, fashion show, or cultural event. Teaching in a space that was created for freedom of movement can deepen the practice for your students and enhance your own teaching experience. Rates are based on group size and length of time. The dining area of our cafe is an excellent spot to host your meeting or family gathering. For a private rental of the space for a wedding, social event, birthday party, or more, we’ll come up with a rate that is affordable and in line with your needs. 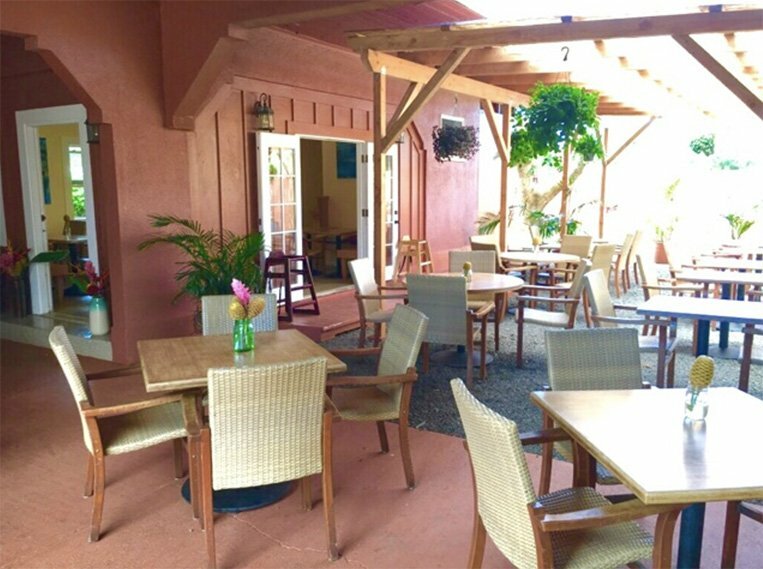 The Island Fresh Cafe displays a breezy, tropical setting for outdoor seating as well as cozy indoor seating, both areas featuring murals and hanging art by local artists. With beautiful, flexible space and a prime location in Paia, our cafe is the perfect venue for lectures, networking events, classes, parties, and more. If you can dream it, chances are we can make it happen.